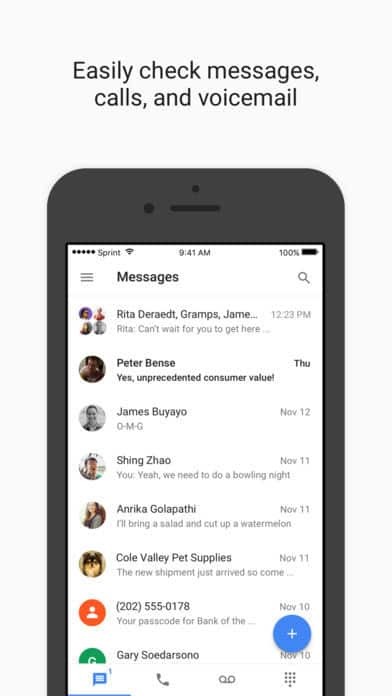 While Android makes it easy to record phone calls, iOS doesn’t have any stock feature for this purpose. Luckily, it doesn’t mean you can’t record phone calls on your iPhone, it just means you’ll need to use a third-party app. There are numerous apps you can use to record phone calls on your iPhone but we’ll talk about the most notable choices. Before anything else check if recording phone calls in legal in your region – this varies from one country or state to another so it’s a good idea to make sure you’re not unknowingly breaking any laws. 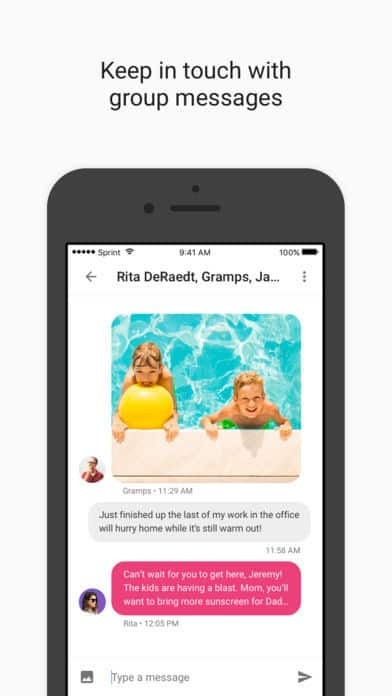 Google Voice is a VoIP app that gives you a free US-based phone number (obviously this only works for US residents) and it lets you easily record phone calls on your iPhone, since it doesn’t use the built-in phone calling system and as a result, avoids all the restrictions that come with it. 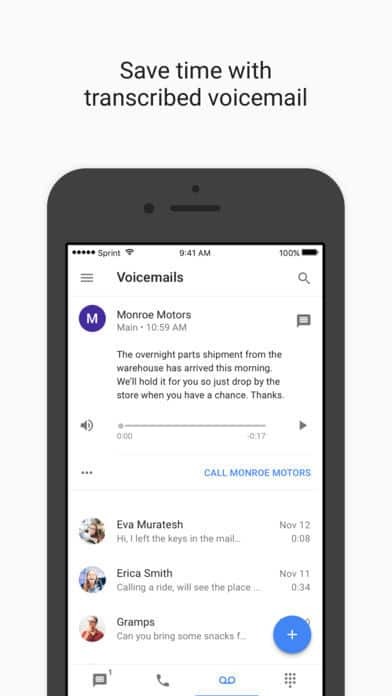 It’s true, the calls you make and receive will go and come from your Google Voice phone number, not your carrier number but other than that you get plenty of benefits from using this or another VoIP solution such as transcribed voicemails, superior audio quality, conferencing capabilities and last but not least, recording calls. NoNotes is a specialized call recording app which you can download for free and record up to twenty minutes of calls per month. Should you need more than that, you can get unlimited call recording using the $8 monthly subscription or pay twenty-five cents per minute of call recording. The recording process can start before a call or during a call. However, the iPhone complicates it a bit. Once you start a call, you will need to “merge calls” with NoNotes so it can “listen in” and record. This problem is caused by a limitation of the iPhone not the app (and it’s the same with other similar apps). 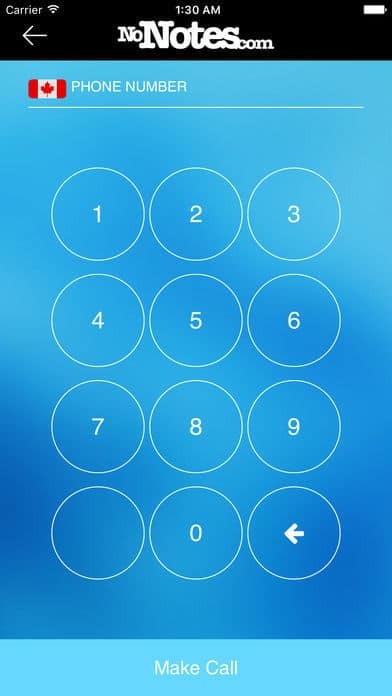 No app can directly access calls, it would need to be “conferenced in” to be able to record. 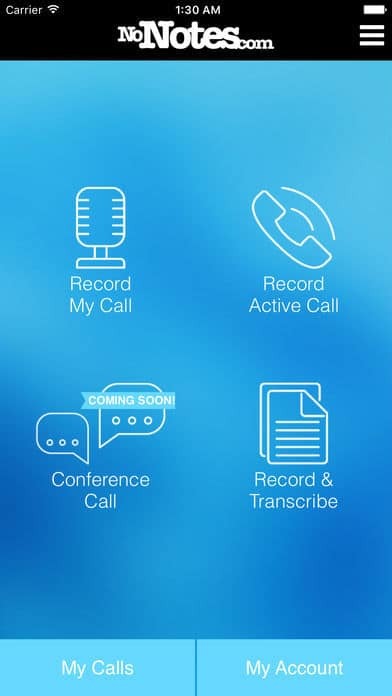 TapeACall Pro is one of the best call recording apps for the iPhone. It’s not cheap – you can buy the full version for $10, but at least it’s a one-time payment after which you can use it without limitations. It’s an excellent solution if you need to record phone calls frequently as it’s much cheaper than subscription-based apps or constantly purchasing credits. 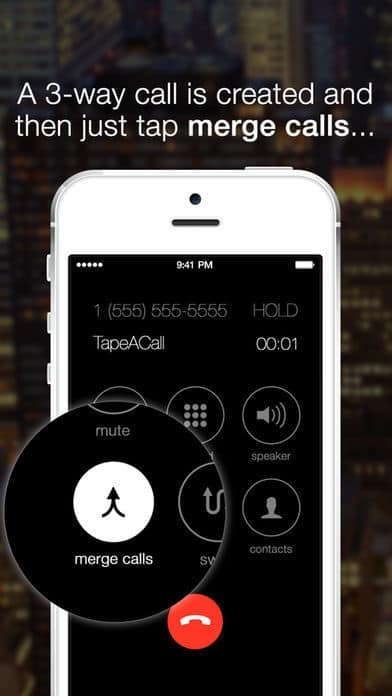 You can use TapeACall to record both outgoing and incoming calls via the stock Phone app. However, it requires the “merging” process just like NoNotes which is an iOS limitation. 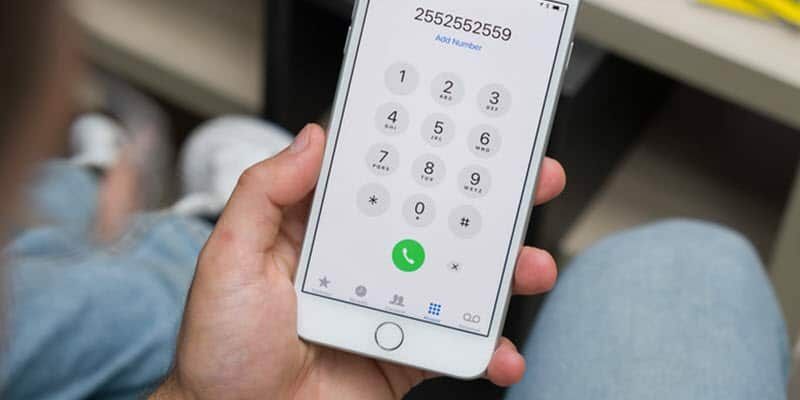 VoIP apps are the most versatile when it comes to recording phone calls on iOS, so if you don’t mind using another phone number you should definitely check out Google Voice, but also other VoIP apps such as WePhone and Viber. If you only need to record phone calls every now and then, NoNotes is perfect thanks to those free 20 minutes of recorded phone calls a month. Lastly, those who record phone calls often should go with TapeACall Pro – despite the $10 investment which might seem expensive, it’s a one-time payment and much more affordable compared to purchasing credits or recurring subscriptions. Share this post if you liked it and follow us on Facebook, Twitter and Google+ to stay up to date with the latest apps, games, guides and everything Android, and iOS.